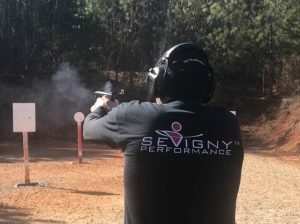 Dave Sevigny began his 20th competitive shooting season at the Georgia State Steel Championship on February 2-3, 2018. The competition was held at Griffin Gun Club in Griffin, Georgia and featured the full 8-stage Steel Challenge courses of fire. 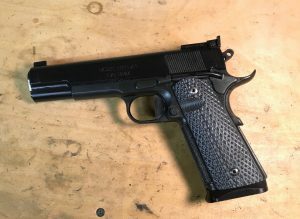 Sevigny competed with a Harrison Design and Custom 9mm 1911 in the Single Stack Division, using Sevigny Competition sights. He shot an 89.64 for his overall time, winning his division and the main match among the other centerfire divisions including Open, Limited and Production. 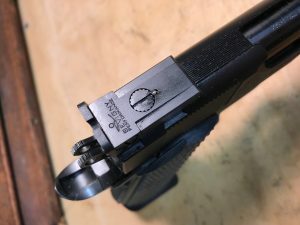 “One constant for most of my shooting career has been Sevigny brand sights by Warren Tactical Series. The sights offer a clean view designed for speed and accuracy,” said Dave Sevigny. The sight brand has gained loyalty among winning competitors in shooting sports and that tradition continues today. Sevigny’s next competition will be the US National Steel Championship, March 28 – 31, 2018 at South River Gun Club in Covington, GA.